Montenegro became independent in 2006 and formally began accession negotiations with the European Union in 2012. LSEE’s Tena Prelec and EUROPP’s Managing Editor Stuart Brown spoke to Montenegro’s Deputy Prime Minister, Igor Lukšić, about the country’s efforts to join the European Union and NATO, Montenegro’s future relationship with Russia, and on-going efforts to tackle corruption. This interview is a collaboration with EUROPP Blog. Montenegro is an official candidate country for membership in both the European Union and NATO and it seems to be progressing at full speed. Which one has priority for you? Both are of equal importance, but both serve different causes in a way. NATO is about security and the EU is about developing institutions. But both are about setting the platform for long-term economic prosperity because there are no really poor countries in EU or NATO, which is a clear indication that integration helps countries. Time-wise, it is probably reasonable to expect that NATO membership might come sooner than EU membership, but this is just because we are already in the fourth membership action plan. We have asked the EU to open talks, but obviously it will take five or six years to negotiate and then we have to go through the other procedures, and so on. So in terms of time it may happen that NATO membership will come sooner than EU membership, but that doesn’t really mean anything. As we see it, those two priorities are on the same level. It’s all a campaign for Europe, so to speak. Our efforts are to be a part of Europe, in every meaning. Montenegro has had strong ties with Russia for a long-time. 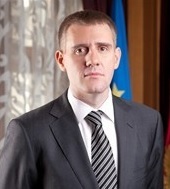 In recent years, large amounts of Russian capital have been invested in Montenegro. So now that you’re looking to the West, what are your next steps with Moscow? Our priorities are clear. One is the EU, the other one is NATO. Keeping good relationships with countries such as Russia, or Arab countries, or China, or South American countries is obviously a goal because even EU and NATO member states want to cherish good relationships. With Russia, this is primarily because of economic reasons. It’s just that, in Montenegro, there is also historical background. We really don’t think that it is contradictory to pursue our EU and NATO goals while maintaining a good relationship with Russia. But I also think some aspects are overstated, such as this perception that Russia is a key investor in Montenegro. Over time the situation has been changing, and when you look at the countries where investors in Montenegro come from today, you’ll probably find Russia in the top 10, but certainly not the 1st, 2nd or 3rd place. Actually with Italy, Hungary, countries like Norway, and Turkey, this perception is obviously wrong. Also, the fact that one of the biggest Russian investments, at an aluminium plant, has gone bankrupt changes that perception. The recent EU progress report on Montenegro was very positive, but highlighted levels of corruption and organised crime as areas for improvement. Do you think that is a fair assessment – is corruption still a significant problem for Montenegro? We very much appreciate the new concept of accession talks designed by the European Commission. That is to open at an early stage the chapters that deal with the rule of law and to close them just before accession. That gives enough time for countries to sort out their affairs. By this I mean developing institutions that can produce a legitimate track record to demonstrate that the country is able to deal with the challenge. But it doesn’t mean that up to now we haven’t invested a lot of effort: we wouldn’t have been at the accession talks stage had we not done a lot in this field already. And I saw most recently a Gallup opinion poll that suggests that actually people in Montenegro think that, for example, high level officials are the least corrupt in the region. It’s still a bad mark – 50 per cent of people think that Montenegrin politicians are highly corrupt – but it’s the best result in the region. However this will only encourage us to work harder. Despite this recent progress, more should be done. I think that there is a high quality action plan in place and it will serve to navigate those coming chapters in the next five years. There will also be intermediary benchmarks. I think we’re on a good track. And I agree with you that generally the most recent progress report is positive. But it highlights some things that we definitely have to deal with in order to introduce all the relevant standards into our system. Given that Montenegro is attempting to improve its global image, would you refuse to entertain foreign relations with a country on the grounds of a breach of human rights? Since 1 January, Montenegro has been a member of the UN Human Rights Council. This has been one of the most prominent roles we’ve played as part of a multilateral organisation since the restoration of independence in 2006. It gives us a great opportunity to talk about our efforts to improve basic human rights in different fields, but also to monitor what’s going on in other parts of the world. Generally speaking, I think that every country should keep human rights high on the agenda. And the fact is that in certain countries the state of human rights is not ideal. It is a challenge, and there is always a strong dilemma over what to do. But I believe that by following the Common Foreign and Security Policy of the EU, we can contribute to the end goal of reaching an adequate level of human rights in all places where it is deemed there should be an improvement. From an economic perspective, the main news in recent months has been the bankruptcy at the KAP aluminium plant, which was a very considerable employer in Montenegro. What do you think you could have done better to avoid a meltdown on this kind of scale? It’s been an unfortunate case for at least the last 20 years. It first had big problems in the early 1990s when there was the imposition of sanctions and the loss of foreign markets. Since then there has been a huge problem over how to operate this company. We tried the route of privatisation, but it didn’t work out well, obviously. Now it’s in bankruptcy. However I still think after so many efforts that today this company is no longer a social problem. Nor is it a development dilemma. If there is an investor who could really sustain this business, expand it, and reorient the operations toward higher margin products then that would make a lot of sense. Because the key issue to discuss is about whether there is enough electricity and at what price that could feed the system. So now, it is a development dilemma. It’s no longer a transitional social dilemma involving thousands of employees, it’s down to a couple of hundred and it’s sustainable. Either the plant survives and brings more income to the country and more exports, or it shuts down. There is on-going political discussion about this in Montenegro, but I think, if we take a more positive approach to this case, it also shows that the Montenegrin economy has changed tremendously from the socialist economy some people still remember from the 1980s. Today, it’s a functional market economy, which is fairly liberal. The Doing Business report, run by the World Bank Group, says that we’re now the 44th ranked country in the world for the quality of business environment, and that’s been a tremendous improvement from being ranked 90th as recently as 2008. There is also improvement in the Economic Freedom Index, Transparency International rankings, and more. It all suggests that the business climate in Montenegro has improved. Once this case is sorted out the only thing we will have to do is discuss growth and development possibilities, rather than transition problems. This entry was posted in Current affairs, Interviews, LSEE events, Montenegro and tagged European Union, EUROPP Blog, Igor Luksic, Montenegro, NATO, Russia, Stuart Brown, Tena Prelec. Bookmark the permalink.